Coming off a tough extra-innings loss yesterday, but an ultimately successful week in which they went 4-1 against the Boston Red Sox and Baltimore Orioles, the Yankees look to close out the homestand against another division foe: the surprisingly struggling Toronto Blue Jays. The strong week propelled the Yankees into a first place tie with the aforementioned Baltimore Orioles in the American League East at 15-8. Toronto comes into this series with a record of just 8-17 across its first 25 games and will seek a better start to the season's second month than they experienced out of the gate in April. The Blue Jays come in with a modest two game winning streak, having defeated the Tampa Bay Rays on both Saturday and Sunday. New York will look to get back on track following yesterday's defeat at the expense of their rivals from the Great White North. The Yankees struggled against Toronto in 2016, going just 7-12 head-to-head, and will look to reverse course in 2017. Marco Estrada last took the mound this past Tuesday (4/25) in St. Louis, allowing two earned runs over six strong innings with just one walk versus nine strikeouts, ultimately taking a no-decision when the game went to extra innings. Estrada isn't a guy who will bring the heat, as his fastball barely touches 90 miles per hour, but his craftiness has previously been troublesome for the Yankees. Only Starlin Castro, who faced Estrada a ton when they both resided in the NL Central, has any real success against the Toronto righty among current Yankees. Castro is 12-for-31 in his career against Estrada. Estrada owns a career 3-2 record against New York with a 3.75 ERA over ten appearances (nine starts). Luis Severino has been one of the better stories through the Yankees' first 23 games in 2017. After struggling mightily as a starter in 2016 before dominating in a relief role late in the season, Severino has been every bit the 2015 version of himself the Yankees have been hoping he can be. His most recent start in Boston last Wednesday was by far his most impressive to date on the young season. 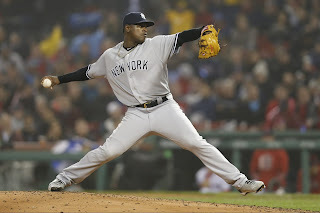 Severino pitched seven scoreless innings with six strikeouts, earning his second victory in a 3-1 Yankees win. Armed with a lethal fastball-slider combination and a developing changeup, Severino will look to once again take the mound and dominate. Mat Latos earned himself a second start in the injury-depleted Blue Jays rotation courtesy of six shutout innings his last time out against St. Louis – a foe he had plenty of experience against from his time with the Reds. Once a big time young arm with the Padres and Reds, Latos has struggled to stick in the majors of late, but appears rejuvenated this year after working his tail off in the offseason, reportedly dropping 15 pounds. Matt Holliday is a player to watch in this game as he owns a .375 career batting average against Latos. For the Yankees, Masahiro Tanaka will toe the rubber, fresh off throwing the first "Maddux" of the 2017 season – that being a complete game with 100 or less pitches. Tanaka baffled a potent Red Sox lineup, throwing a shutout and allowing just three hits. After an incredibly shaky start to 2017, Tanaka appears to be rounding into form. Since his major league debut, Tanaka has had much success against the Blue Jays, pitching to a 6-3 record with a 2.34 ERA and a 1.054 WHIP over ten starts (61.2 innings pitched). While he might not be able to duplicate the success of last Thursday, the Yankees' ace has gotten better in each start and the Yankees should hope for the same on Tuesday night. Local kid Marcus Stroman will take the hill for the Blue Jays in Wednesday's series finale in the Bronx. Stroman has carried his World Baseball Classic success into the regular season - a rare bright spot on an otherwise disappointing team. Aside from a 4.2 IP, six ER outing versus Boston on April 18th, Stroman has not allowed more than two earned runs in any of his other starts. In his last two starts, he has thrown 16.1 innings, allowing just three earned runs total with 15 strikeouts. He is 5-2 in his career against New York with a tidy 2.17 ERA and should be expected to pitch well again in this one. No Yankee with five or more career at-bats against Stroman has an average better than Brett Gardner's .227. For the Yankees, big lefty CC Sabathia will look to correct the mistakes of his last two outings in which he has allowed a combined 11 earned runs in just 10.2 innings and allowed four home runs. After starting out the season so strong, it appears this is who Sabathia is now. He'll play to soft contact and keep opponents off balanced one night, and get hammered in his next start. 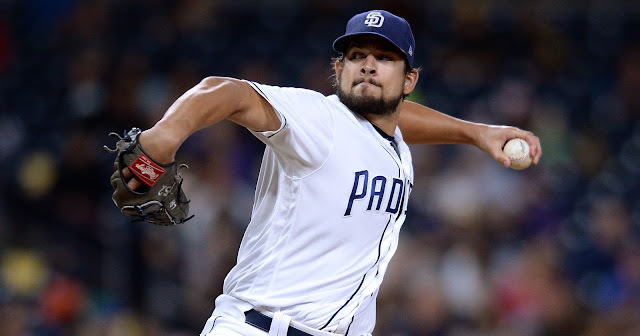 If the good nights outweigh the bad, he'll suffice as a back-of-the-rotation starter but he needs to avoid leaving his pitches up and over the middle as he can no longer blow away hitters with mid to upper-90s heat. In Wednesday's finale, he'll look to rebound from an 0-3 2016 versus these same Blue Jays. Jose Bautista: One of the worst everyday players for the Blue Jays this season, Bautista has proven the 29 teams that chose not to pursue him in free agency this past Winter correct. Joey Bats has hit at just a .178 clip with only one home run, seven runs batted in and 30 (!) strikeouts in 90 at bats. If the Blue Jays have any chance of digging themselves out of this hole they've put themselves in, Bautista needs to be a middle-of-the-order force or else they don't have much of a chance, even once Josh Donaldson returns from the DL. Ezequiel Carrera: Conversely, Ezequiel Carerra has been one of the lone bright spots in the Blue Jays' batting order in 2017, leading the team in hitting at .313 over 64 at bats, but surprisingly, has only scored four times. Carrera has also played well in the outfield, having yet to record an error over 138 innings in left and right field. The Toronto offense's ability to score runs and disrupt the rhythm of the Yankees starters heavily depends on Kevin Pillar and Carerra setting the table at the top of the order. Toronto Bullpen: Among one of the worst units in all of baseball in April, the Blue Jay bullpen will need to pitch significantly better if this team has any chance of turning their season around in May. 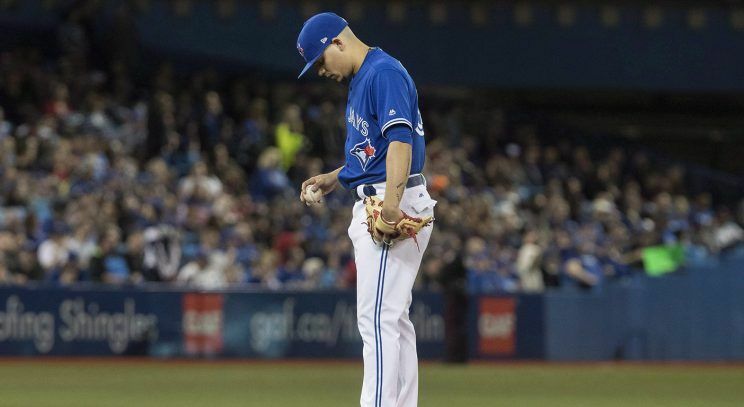 The Toronto starting rotation has performed adequately considering the losses of JA Happ and Aaron Sanchez to the Disabled List, but the bullpen has not been able to hold leads nor has it kept the opposition at bay in close games. Some of the worst offenders include Jason Grilli (1-3, 7.27 ERA, three HRs allowed) and closer Roberto Osuna (1-0, 5.63 ERA, .313 BAA, three blown saves). Greg Bird: As rumors swirl that Bird might be in line for a demotion following his slow start to the season (.107 BA, one HR, three RBIs, .265 OBP), Brian Cashman has insisted that the Yankees will remain with Bird and give him every opportunity to break out of this slump he is in. One encouraging factor is that despite the near-impossibly low batting average, Bird has drawn ten walks and isn't striking out at the same pace he was through the first two weeks of the season. With three righties on tap for Toronto and Chris Carter not playing much better, expect Bird to play in all three games this series. Matt Holliday: The Yankees' designated hitter has gotten hot of late, following a 2-for-27 stretch. 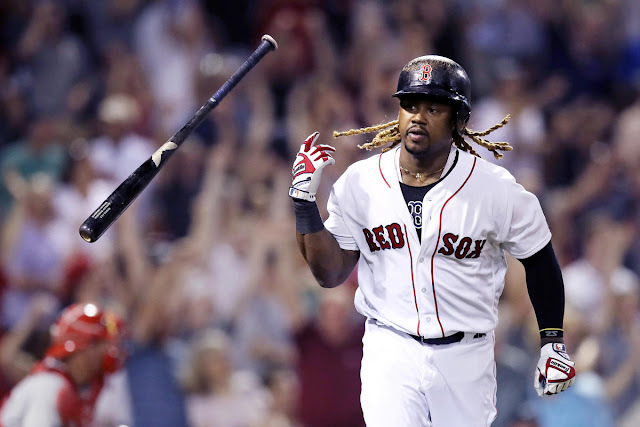 After drawing two walks in the final two at-bats against the Red Sox last Wednesday, Holliday went on to go 2-for-3 on Thursday night at Fenway and then a combined 5-for-13 against the Orioles this past weekend with two home runs and four runs batted in. He improved his season batting average from .204 to .262 over this stretch. Holliday also boasts a strong .402 OBP on the season. Didi Gregorius: Didi returned to the Yankees this past week with a bang, as he went 7-for-15 in his first three games of the 2017 season with four runs batted in. Ronald Torreyes did a great job holding down the fort until Didi's return, but if these three games (plus his strong WBC performance in March) are any indication of the type of season Gregorius is going to have, Yankees fans have to be excited. Despite missing the Yankees' first 20 games, Didi hasn't skipped a beat and will look to keep it going this week against the Blue Jays. 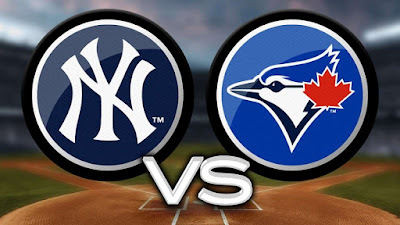 More than anything, this screams as one giant trap series for the Yankees against an opponent that they have struggled to solve over the past few seasons, going a combined 13-25 against Toronto since the start of the 2015 season. 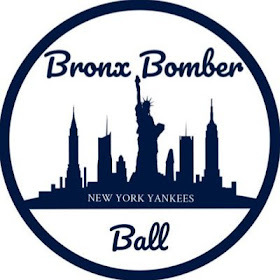 While it's true that this version might not be the same squad that made it to back-to-back American League Championship Series' in 2015 and 2016, they should still be expected to give the Yankees trouble this week as they look to turn their season around. If New York's pitching holds up and the offense keeps it going, however, the Yankees should hold their own just fine against the current AL East cellar dwellers.